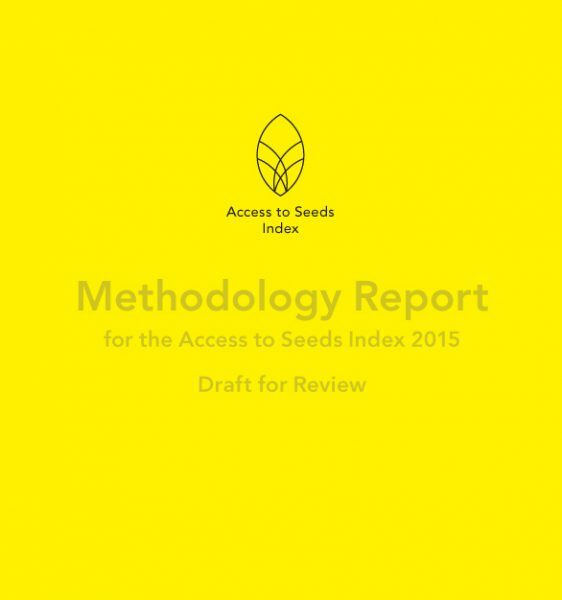 On November 17, 2014 the Expert Review Committee (ERC) undertook the second and final evaluation of the methodology for the Access to Seeds Index 2015. The ERC is composed of representatives from different stakeholder backgrounds and fields of expertise. It was strengthened in October 2014 by a new member, Heleen van den Hombergh, Senior Advisor at the Dutch committee of the International Union for Conservation of Nature (IUCN NL). The ERC previously convened on March 10, 2014 to review the first draft of the methodology. At the time, the goals, scope and methodology for the Index were discussed and seven action points were formulated to refine the methodology. Following the evaluation in November, the ERC stated that the draft Methodology Report had improved substantially since March and that their action points had been satisfactorily addressed. However, some additional changes were proposed before the methodology is released in early 2015. Specifically, the ERC noted that ‘sustainable intensification of agriculture’ deserves a fundamental place in the Index. In the final Methodology Report, this will be added as a fifth principle and the indicators will be reviewed to make the principle more explicit. Furthermore, the ERC recommended reassessing the current methodology in order to limit the burden on companies, for example by examining the extent to which the current indicators and questions can be further reduced or focused. During the ERC Meeting, research partner Sustainalytics gave an overview of the research process and their approach to weighting and scoring as a means to differentiate between companies. An explanation of this approach will be included in the final Methodology Report. Regional research partner Cardno then updated the ERC on the development of the Regional Index for Eastern Africa. This Index has its own ERC, composed of representatives from different stakeholder groups and fields of expertise throughout the region. The main task of this ERC is to review the methodology for the Regional Index for Eastern Africa, which differs slightly from the Global Index.